I always love when I hear from Reviva Labs. They have the best serums and creams always made from the best ingredients. I have two new products that I have snuck into my routine for the last couple of weeks. 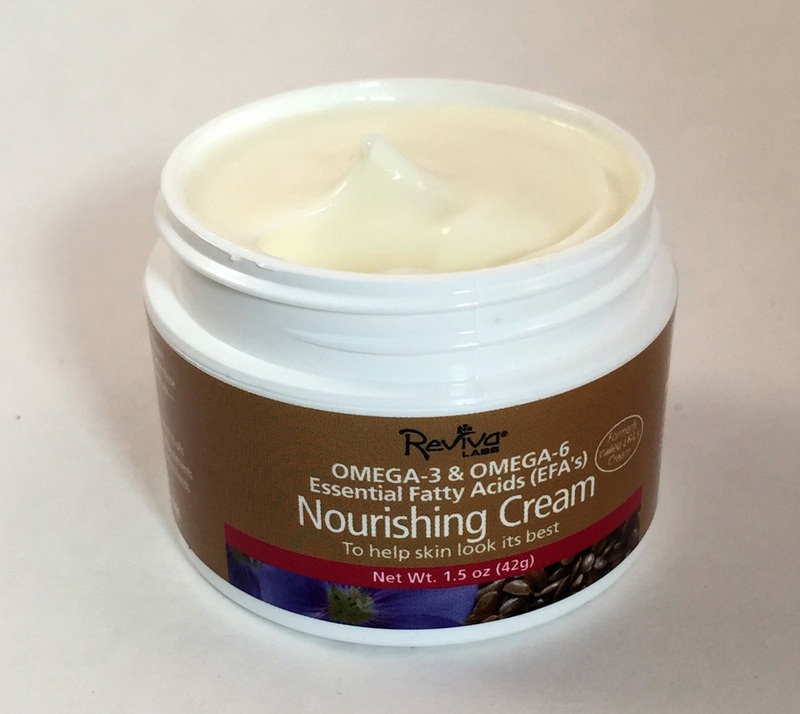 First up, the Nourishing Cream. This has Omega-3 and Omega-6 fatty acids which help with all of those fine lines and wrinkles. They help full and smooth out your face. They are essential fatty acids that are needed to put moisture back into your skin. This is meant to be used in the mornings and nights. 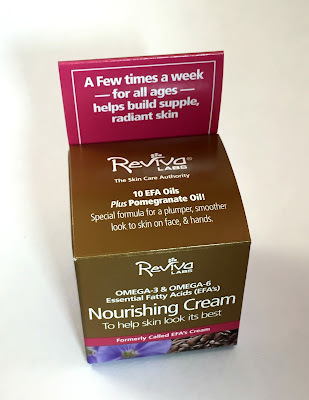 The things I love about Reviva Labs is they teach you how to treat your skin and maintain it. They also suggest you increase your EFAs (essential fatty acids) via supplements or food. I get mine in flaxseeds on my greek yogurt in the morning, shellfish, avocados, chia seeds (I put them in/on everything), pumpkin seeds, kale, spinach. I am sure you can get them in other foods, but that's what I eat on the regular. Anyway, this contains aloe vera, sunflower oil, flaxseed oil, borage oil, rosehip oil, avocado oil, hemp oil, whet germ oil, olive oil, black currant seed, sesame seed oil, pomegranate oil, green tea extract, cocoa butter and more!! I really love the smell of this. Despite all of the oil in here, it is really not greasy or heavy feeling. It feels light as a moisturizer. Fantastic!! I use it on my face and hands... so all you hand and nail ladies out there... this is great for you too!! You can scoop this up for $25 from here. Next up is the DMAE Firming Fluid. This is to help tighten and firm sagging skin. It is made to be used on the face and throat area. DMAE is Dimethylaminoethanol. It is known as "face lift in a jar" because it stimulates Acetylcholine which is responsible for muscle tone. 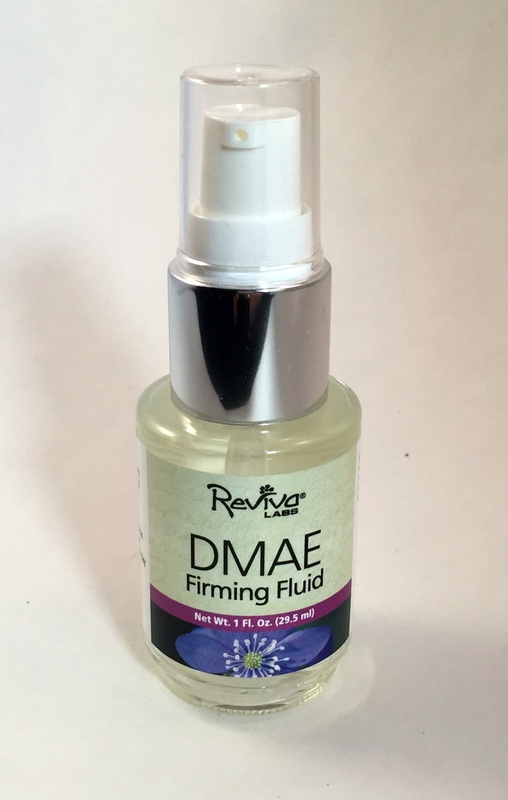 With regular use, this can start to tighten up your skin and bring your regular contours back to life! I use this on my jaw line, under my eyes and on my neck. I don't have much sagging but I am all about prevention! I use this after my retinol and hyaluronic acid treatments and before my nourishing cream above. It is not sticky and applies really nicely. You can buy this for $19 here.